Top Five Tumble Dryers For 2019 - Which? Choosing a tumble dryer needn't be a hassle – just pick one from our experts' selection of the top Best Buys and your clothes will be perfectly dried. Picking out a new tumble dryer from rows of similar-looking white boxes can feel a bit like a guessing game. Just from looking at them, you won’t know which models take ages to dry clothes, or if they’ll leave your walls slick with condensation. 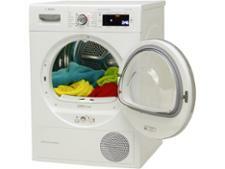 Our expert condenser tumble dryer reviews are here to help. To help narrow the search, we’ve put together a selection of five Best Buy tumble dryers, including heat pump, condenser and vented models – so there’s something for everyone. On top of that, we've named and shamed a range of energy-guzzling Don't Buys - they're let down by poor drying sensors that leave you with soggy laundry. Usually you'll have to compromise on program speeds if you want an energy efficient heat pump dryer, but not with this model. In fact there are no compromises at all - it's fast, great at drying, easy to use and excellent at keeping damp air out of your home. It's currently the very best we've tested. 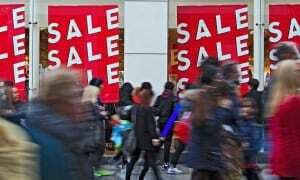 This tumble dryer is pricey, but its comparatively low ongoing running costs will help you make at least some of your money back. You get a lot of features for the price - a large 9kg drum, smartphone control and a plug-in to keep laundry fresh, as well as excellent drying results. It's also user-friendly and quieter than most tumble dryers we test. This is an all-round excellent tumble dryer. It uses very little energy but still manages to dry your clothes quickly and accurately, leaving very few creases in them, too. Also considering that it's easy to use, quiet and effective at trapping moisture, it's not hard to see why it's such a high-scoring Best Buy. We found this dryer one of the easiest-to-use models we've tested, but that's not all it offers, with quick programs that leave nearly all of your cotton and synthetic items perfectly dry. 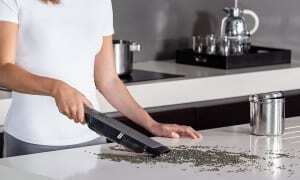 It also traps damp air in the machine, so you won't need to worry about your windows steaming up as it runs. As a condenser dryer it's not as energy efficient as heat pump models, but it's a great choice if price is your main consideration. It whizzes through up to 10kg loads of laundry, delivering perfectly dry items on both the cotton and synthetics programs. It's also easy to load, unload, program and maintain this dryer. Not found the product for you? 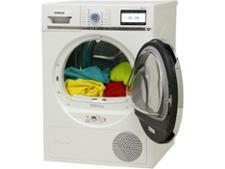 Browse all of our tumble dryer reviews. When it comes to buying a new tumble dryer, you want a model that'll dry your clothes effectively without taking too long or making too much noise. From years of rigorous testing, our experts have uncovered a range of Don't Buy tumble dryers unworthy of a spot in your kitchen. 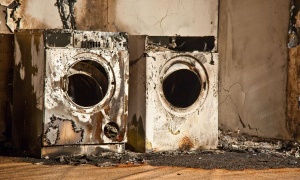 Don't Buy tumble dryers are tricky to use and often come with unreliable drying sensors. keep scrolling for tumble dryers to avoid. 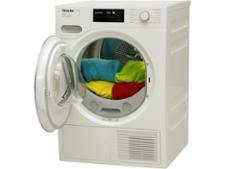 The best tumble dryers we've tested are quick and accurate at drying and cheap to run. Our tests have discovered the best tumble dryers can dry a 6kg load of wet laundry in an hour and a half, whereas the slowest dryers take double this time. The most efficient dryers will cost around £23 a year to run, and the least efficient will cost you more than £140. We've also found that a surprising amount of tumble dryers fail to dry a load of clothes evenly, leaving you with soggy surprises that will need to be draped over a radiator or hung out on a washing line. Make sure you don't end up with a tumble dryer that cause you trouble by avoiding these Don't Buy tumble dryers. Every tumble dryer we review is tested to see how quickly it dries clothes, how easy it is to use, how noisy it is and how much it will add to your electricity bills. These should make life easier by using a sensor inside the drum to monitor laundry. These dryers don’t require you to set the drying time yourself. Instead, they should simply stop the program when it detects that the clothes are dry. But you might be surprised by just how many automatic dryers leave clothes wet on at least one of the four programs we test on. We also weigh condenser dryers to help find out how much of the moisture removed from clothes made it into the water tank, and how much was free to waft back into your home and stick to the walls and windows. The best condenser dryers trap more than 90% of moisture – the worst struggle to hold on to 60%. As well as our extensive lab tests, we also contact thousands of tumble dryer owners every year to gather their views on the brand of dryer they own and any faults it has experienced. From the feedback, we are able to create reliability ratings and customer satisfaction scores for the major brands. You can see how the major brands stack up in our guide to the best tumble dryer brands.